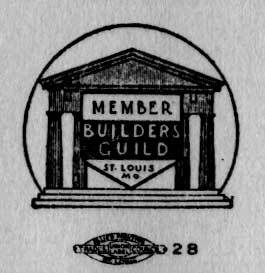 St. Louis, Missouri, 1929. Permission of Charlotte M. (Gerber) Krejci; all rights reserved. 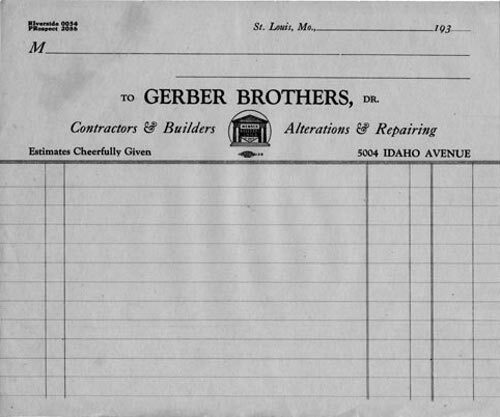 Brothers Eugene August Gerber and Louis August Gerber were in business together as contractors and builders in the St. Louis area. This appears to be a photo of their new truck parked on the sidewalk outside the dealer's showroom. I cannot see any sign identifying the dealer. Through the showroom window behind the truck, you can see another vehicle on display inside the building. The man in the driver's seat is probably connected with the truck dealership. To my eye, he does not resemble either Gene or Louis Gerber. 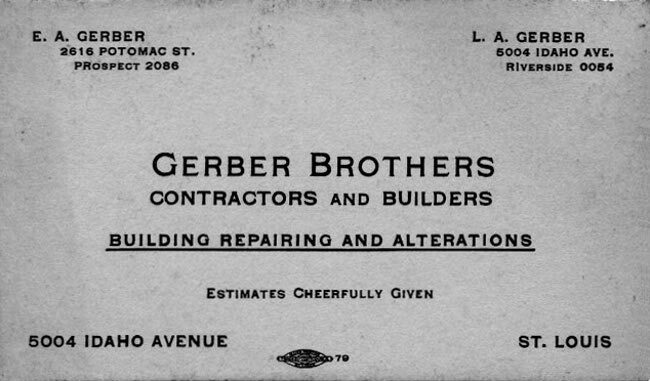 Furthermore, he appears to have a moustache and to the best of my knowledge neither Gerber brother had a moustache. 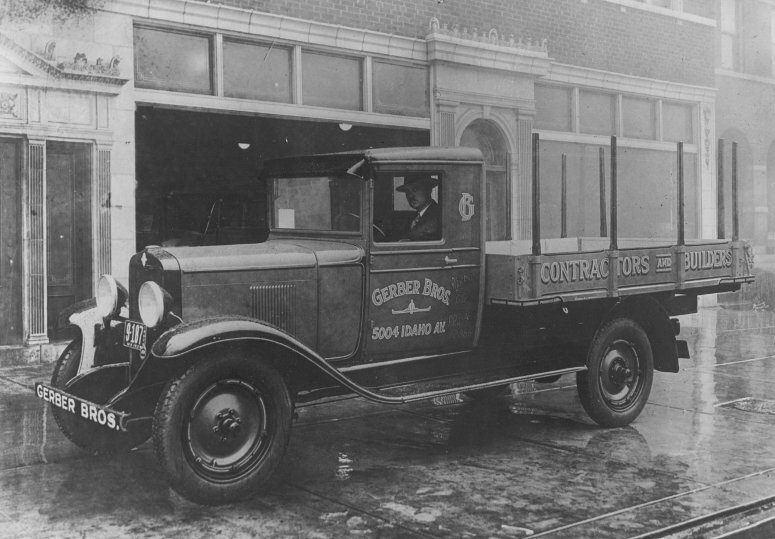 The license plate on the front of the truck was issued by the State of Missouri and appears to show the year 1929 in the lower right corner. The address - 5004 Idaho Avenue - painted on the door of the truck is where Louis Gerber and his family lived in south St. Louis. There are also two phone numbers displayed on the panel beside the door: Riverside 0054 and Prospect 2086. This same information also appears on the business card, shown below. Some of these details are best viewed in the enlarged image of the photograph (see the link below the photo). St. Louis, Missouri. From Fiegenbaum-Gerber family; all rights reserved. From Fiegenbaum-Gerber family; all rights reserved.